Welcome to Centriflow Services Ltd.
beerengines.co has been established for over 30 years supplying the brewing industry and licensed trade both in the UK and overseas. 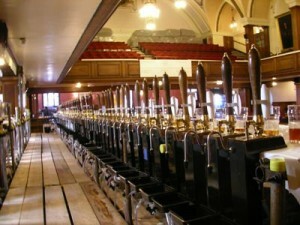 We specialise in the refurbishment, service and supply of cask beer dispense equipment. We also stock and supply a full range of keg dispense and cooling equipment and accessories. Our customers are spread across the globe, the growth in cask ale and craft brewing means we regularly supply Worldwide. So whatever your dispense requirements; from a John Guest fitting to a remote cooler, from beer line to beer engine we offer a truly a cask to glass service. Please browse our site, feel free to contact us we’re always glad to help; if it’s by phone you’ll get a real person on the line! Our specialist area is the supply, service and refurbishment of cask beer dispense equipment and accessories. We supply new and fully refurbished beer engines in a variety of models and configurations. The original company was established in the 1980’s by Leon Singleton as Singleton Services. He retired in 2006 and the business was acquired by Centriflow Services Ltd. Alistair McInnes owner and managing director has over 30 years’ experience in the industry.